Sheet of 25 x 1st class Pink Floyd stamps, great collectors items! Limited quantity available. Why not buy a sheet! 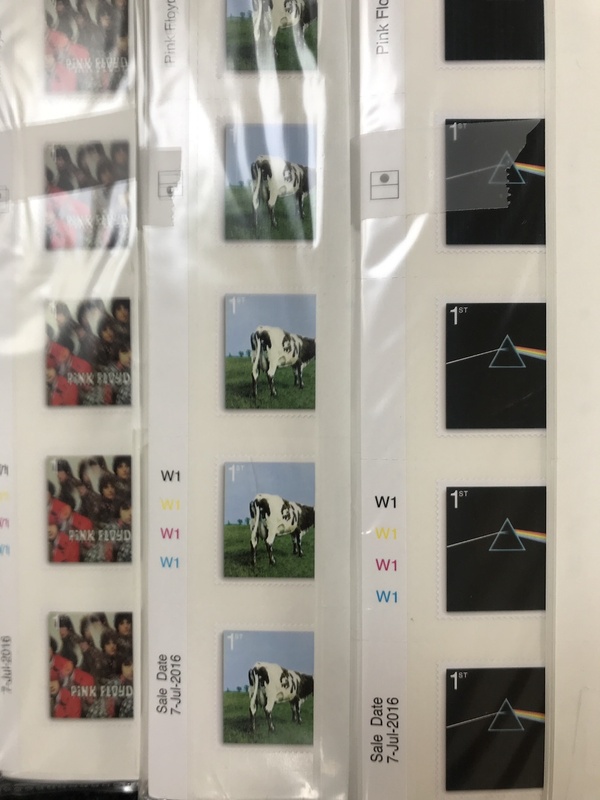 A sheet contains 25 x 1st class stamps of one album cover. 50/4 x 1st Class Large Letter Stamps (Gold) *4% Discount* LTD Price Reduction!